New Uniform Jumpers for Ndii-ini Primary School! 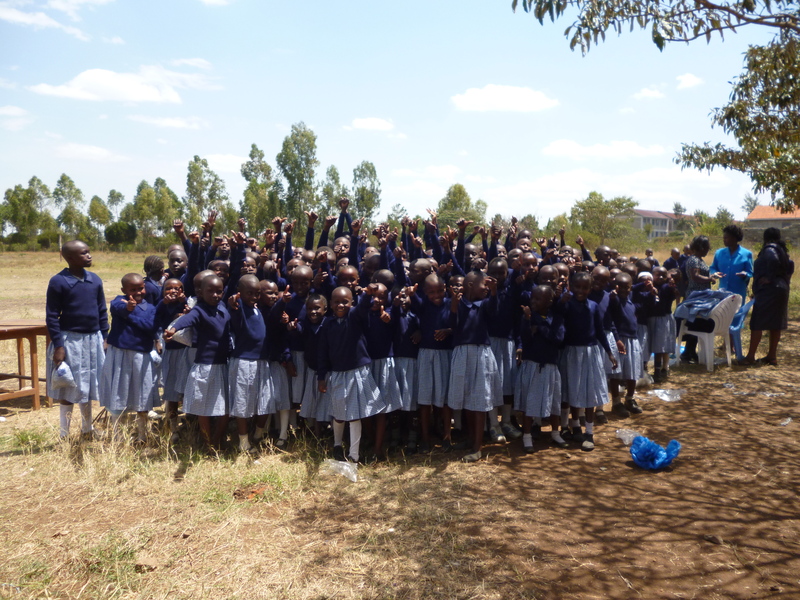 Students at Ndia-ini Primary School show off their new uniform jumpers! Imagine the excitement of the the students at Ndii-ini Primary School in Nairobi last month when they arrived at school to find brand new uniform jumpers waiting for them! K.I.D.S. Initiatives of Canada kindly donated the jumpers for the 529 students at Ndii-ini and will continue their support in the future with annual distribution trips. K.I.D.S. (Kenya Initiative for Development and Sustainability) is a Canadian organization that promotes development, enrichment and sustainable solutions through educational programs and local fundraising in Canada. VICDA is proud to be an international partner of K.I.D.S. Initiative in Kenya and looks forward to their next visit! Ndii-ini Primary School is located in the Kahawa area of Nairobi and has been in operation since the 1950’s. VICDA has worked with the school since 2009 and regularly places volunteers there. If you are interested in volunteering with VICDA at Ndii-ini, please refer to the volunteer page. K.I.D.S. Initiatives is always looking at new projects to support in order to meet the schools needs. If you would like to support their efforts, please refer to their website.